Christmas tree theme alert! 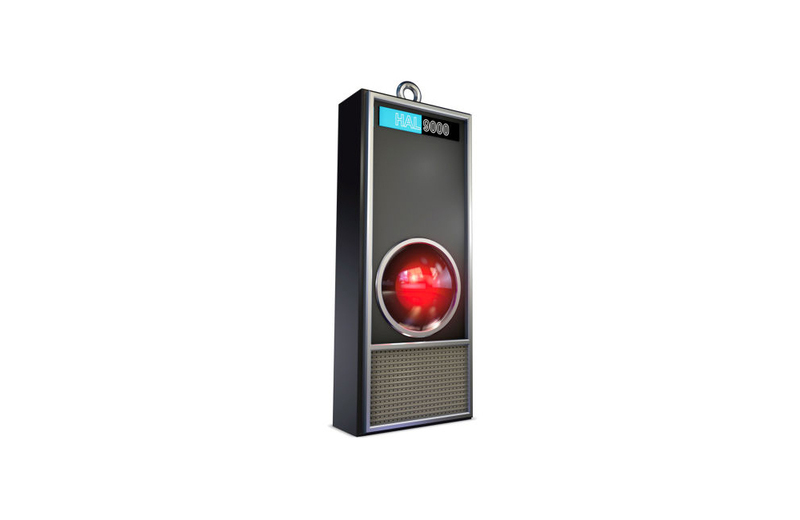 Hallmark has a talking, glowing HAL 9000 Keepsake ornament headed for your Christmas tree. Here’s a fascinating look at IKEA catalog covers from 1951-2015. “Sometimes it brings out savagery.” Watch the world’s oldest board game, The Royal Game of Ur, being played. Earth is so yesterday! $9.5M will get you a reservation at Orion Span, an all-inclusive hotel in space. Canada has released a coin honoring the Falcon Lake Incident, the country’s famous alleged alien encounter. A look at the value of collecting based on what you love, not the potential financial gain. Storage furniture covered in LEGO studs could change how people interact with the iconic blocks. PEZ Candy, Inc. is releasing a new Jurassic World line of dispensers to coincide with the movie’s release. Action Man is turning 50 and 7 other things we wanted to share this week.